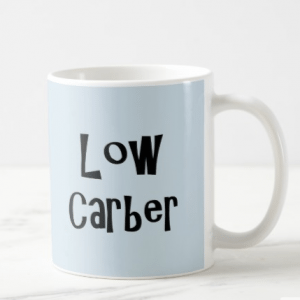 Do you eat enough fish? 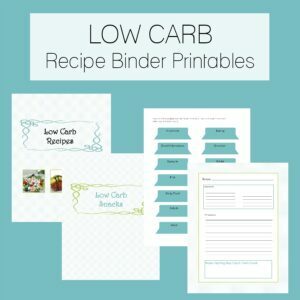 Try these delicious low carb fish recipes! Oh and a quick shout-out to SeaBear – online stockist for amazing salmon, shellfish, and more! Thai Salmon Fishcakes – great flavors in these fishcakes! Hot Crab Dip – this hot gooey dip is a definite crowd-pleaser at parties! Smoked Salmon Pinwheels – SUPER easy to make and look impressive! 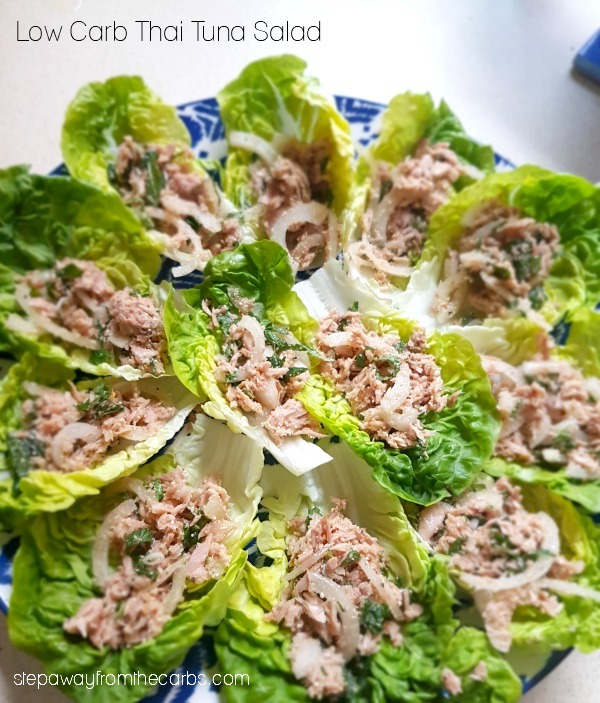 Thai Tuna Salad Cups – This dish is naturally low in carbs and can be served as an appetizer or party offering! Smoked Trout Pate – I’ve been making this simple pate with different smoked fish since I started low-carbing in 2008! Crab Rangoon Dip – this low carb dip is a fun alternative to the traditional recipe! 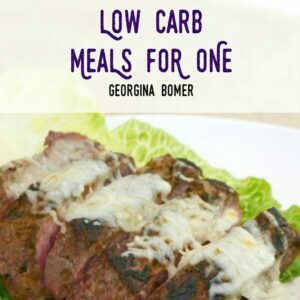 Blini – traditionally served on a pancake, you’ll love this low carb version! Crab Topped Salmon – this sushi-inspired Crab Topped Salmon is full of flavor and super low in carbohydrates! Creamy Tarragon Salmon – tarragon and salmon are such a wonderful flavor combination! 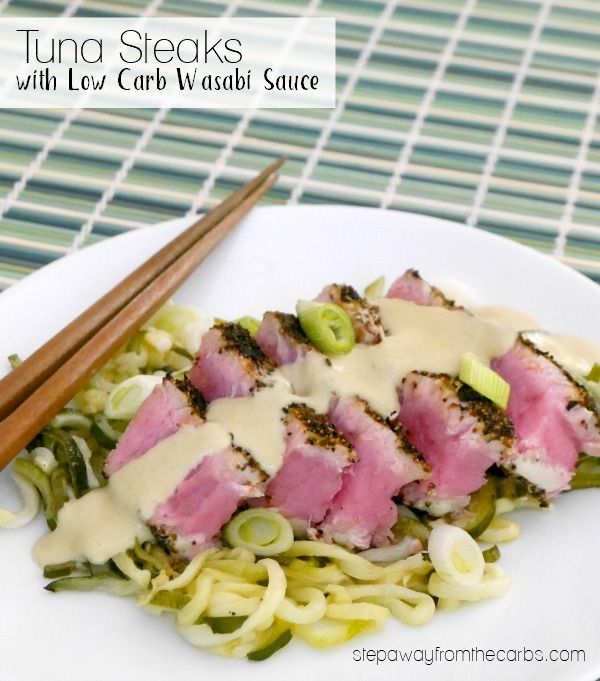 Tuna Steaks with Wasabi Sauce – These pepper-crusted tuna steaks are served with a punchy low carb wasabi sauce! 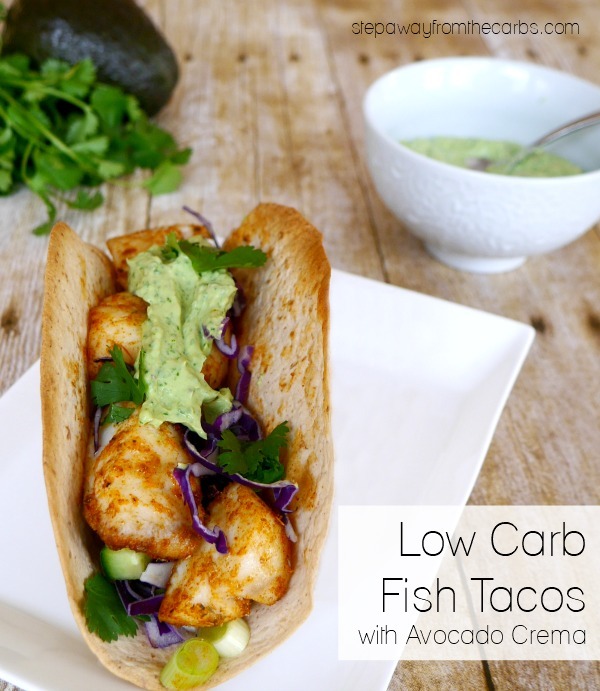 Low Carb Fish Tacos – make your own taco shells from low carb tortillas! 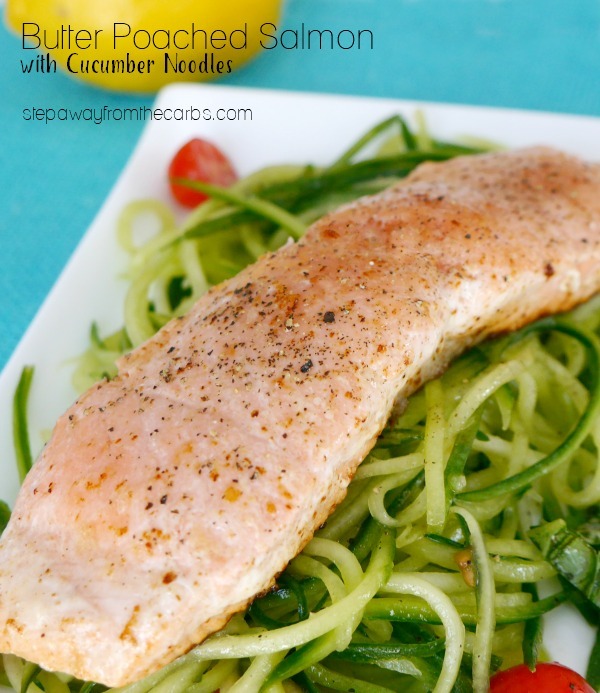 Low Carb Salmon Gratin – This salmon gratin is creamy, satisfying, and delicious! 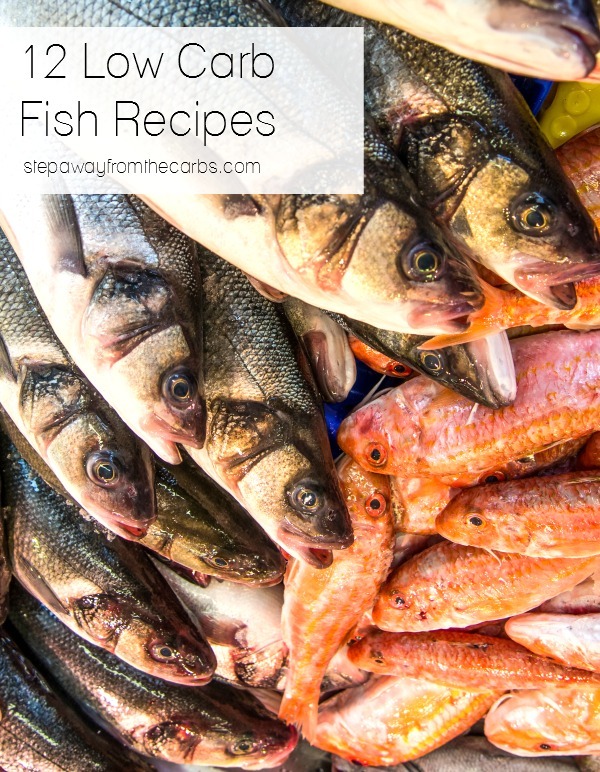 Which low carb fish recipe will you try first?! ?